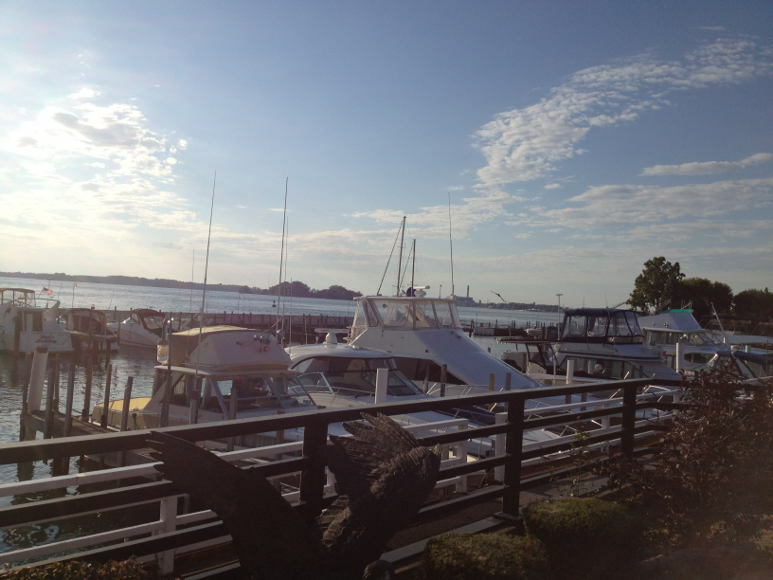 On a recent Saturday night we ventured out to Acqua on the Niagara. 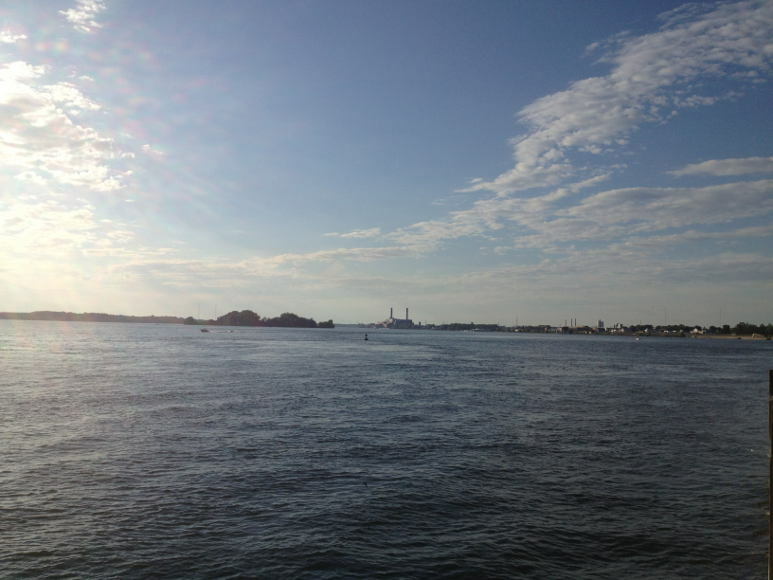 It was a beautiful 80 degree summer day and the setting couldn’t have been better. 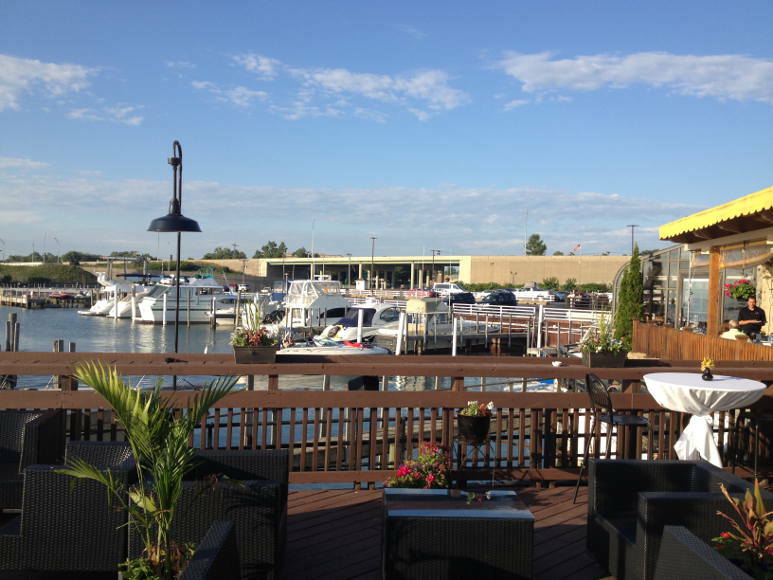 Acqua is located on the river off Niagara Street under the 190 at Arthur Street. 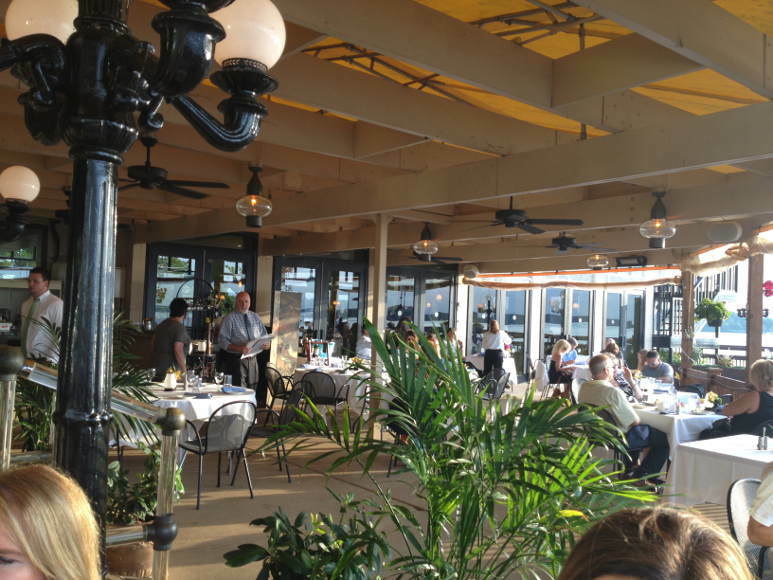 It was once Harry’s Harbor Place Grill. A little tricky to find off Niagara, look for the sign at McDonalds. 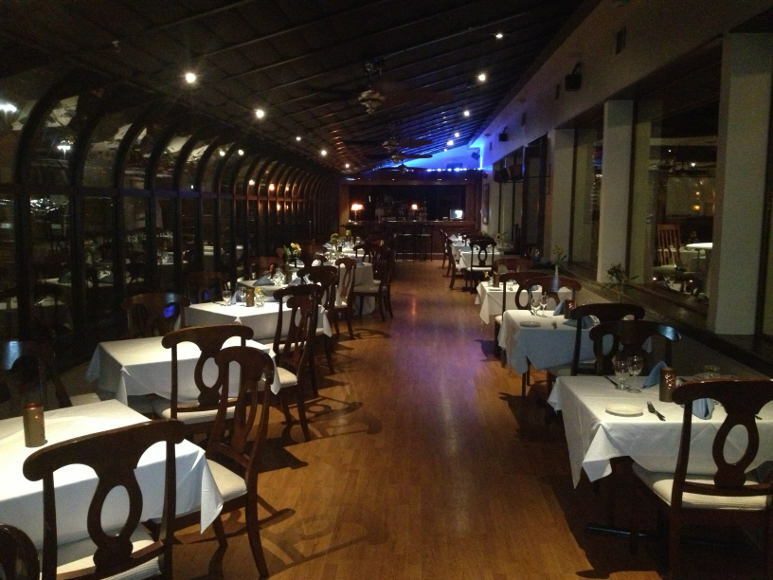 Acqua is a big place with a few dining rooms, a large outdoor patio and more space for parties. Many weekends there is at least one party or wedding in progress. Not only is it a great setup for a wedding, the photo opps can’t be beat. 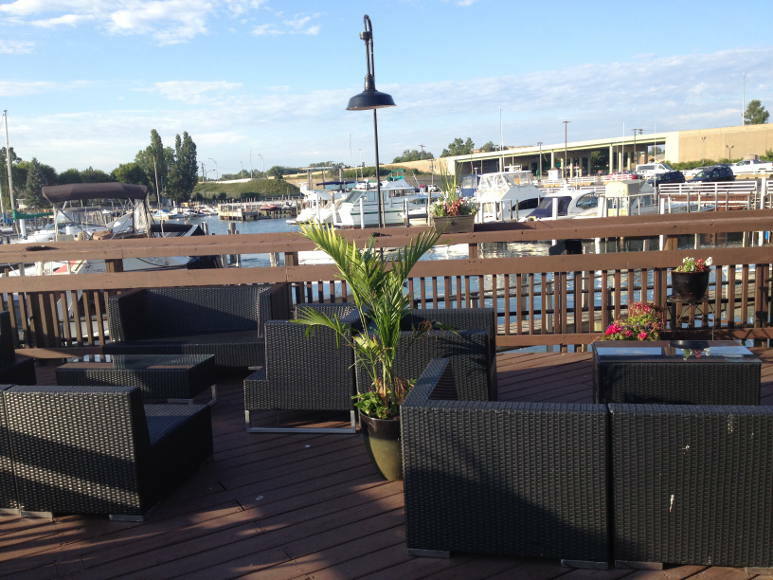 With the patio overlooking the river and the marina on the side it offers a great waterfront feel. 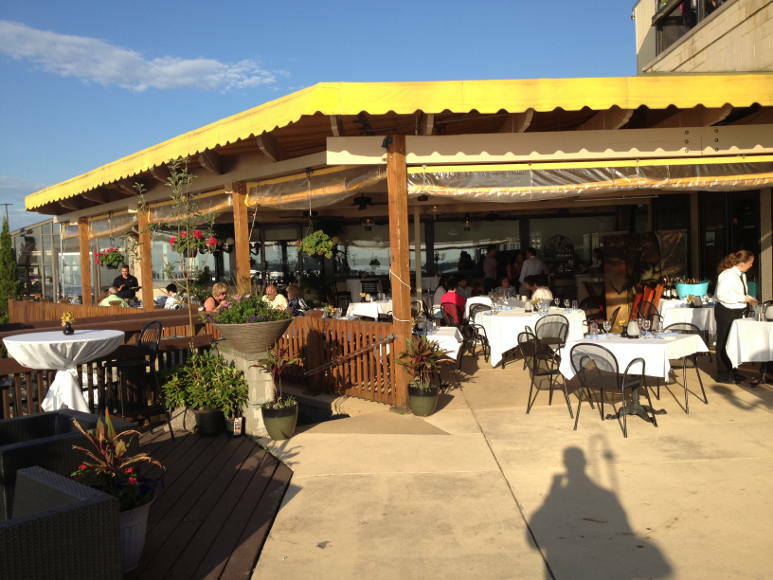 On this night, and probably most nights in the summer, dining was set up on the patio or the side room. After enjoying a cocktail at the outside bar we sat for dinner on the patio with a little shade from the awning and a lovely view of the marina. For appetizers we ordered: Fried Calamari ($15) and the Oriental Pork Pot Stickers ($8) and a Berry Salad ($8). 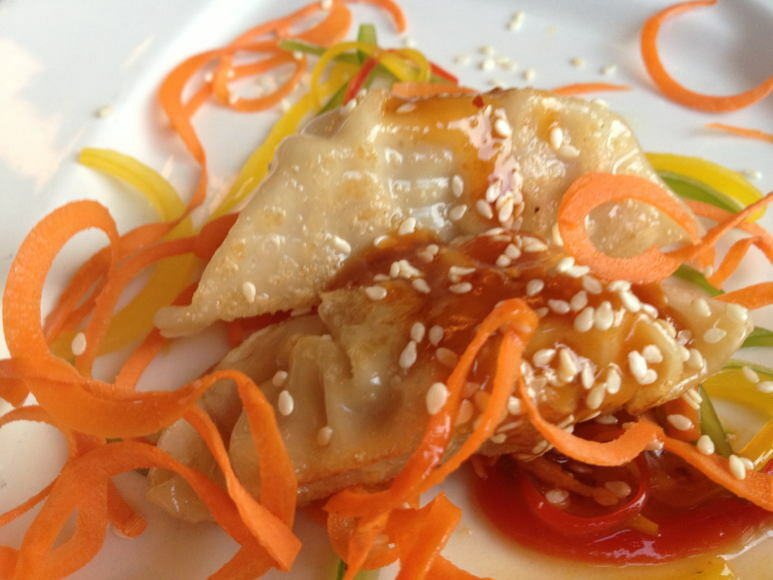 The pot stickers were good, dressed up in ribbon veggies and sesame-soy vinagrette. 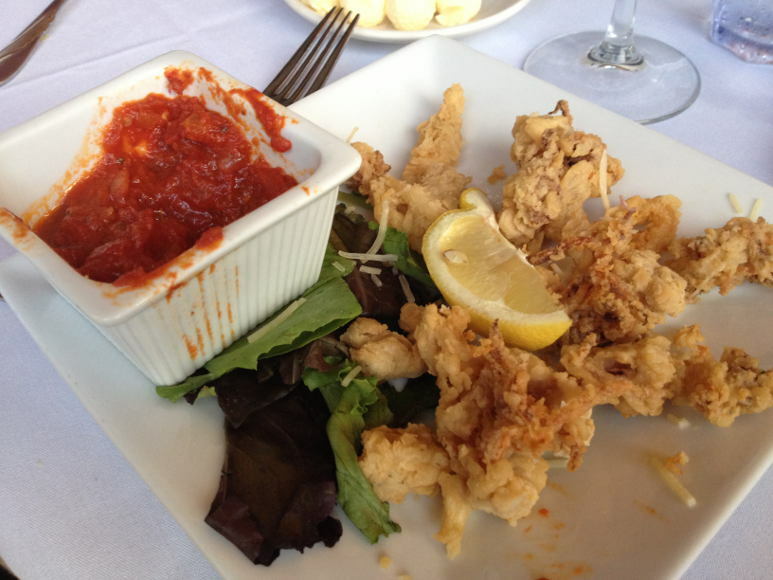 The calamari was pretty run of the mill, a little heavy on the batter, served with a spicy Diablo dipping sauce. The Berry Salad was nice with mixed greens, fresh berries and feta cheese and a balsamic drizzle. Lamb Chops ($28) – Greek marinated with olives, feta and served with Tzatzik. 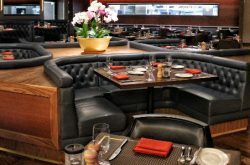 Char Broiled Alaskan Halibut ($31) with tomato, artichoke and Pernod sauce. Char Broiled NY Strip Steak ($39) with a Lobster Hollandaise sauce. 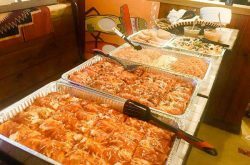 The food came slowly. We were in no hurry and enjoying the company so not an issue here. 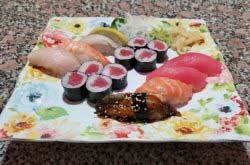 Some less engrossed people may have found the timing of food presentation irritating. Beyond that the service was good. 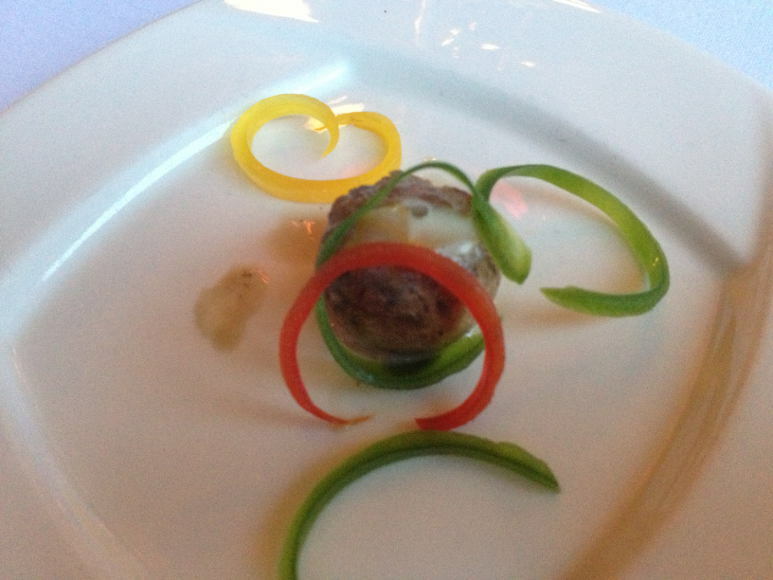 The waiter did bring us a stuffed mushroom amuse-bouche. Our entrees were a bit of a mixed bag. 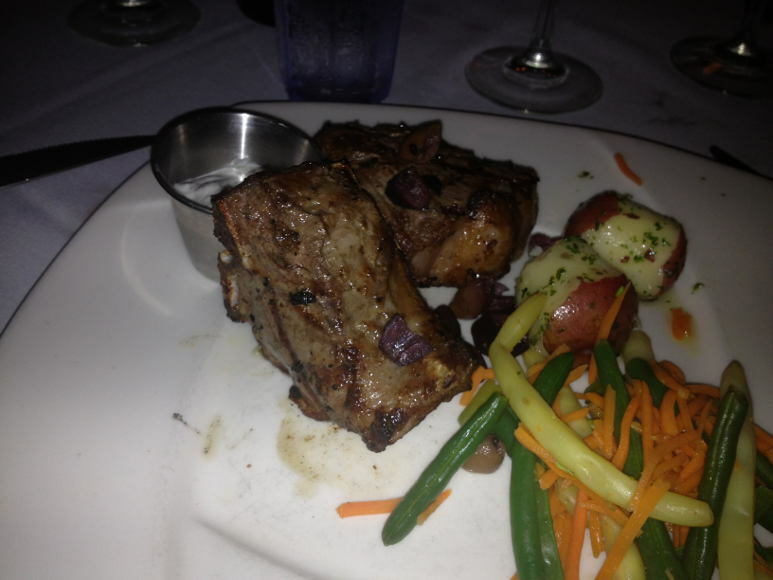 My lamb chops were good- a nice piece of meat well prepared. 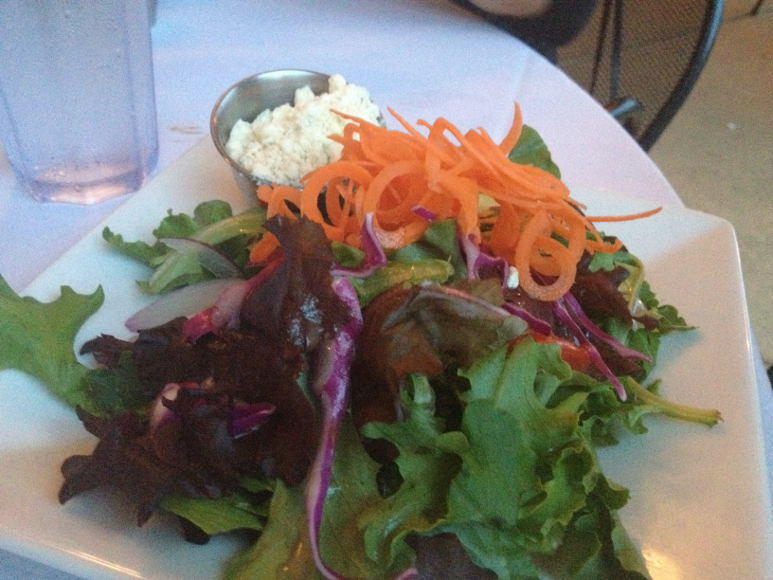 I liked the Greek seasonings and Tzatziki sauce on the side. 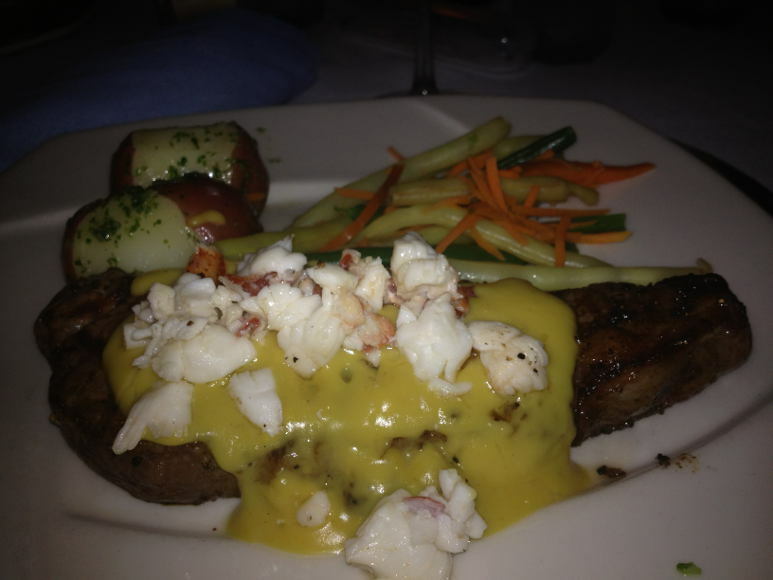 As reported by my companions… the steak was good, well prepared and the Lobster Hollandaise sauce was a big hit. 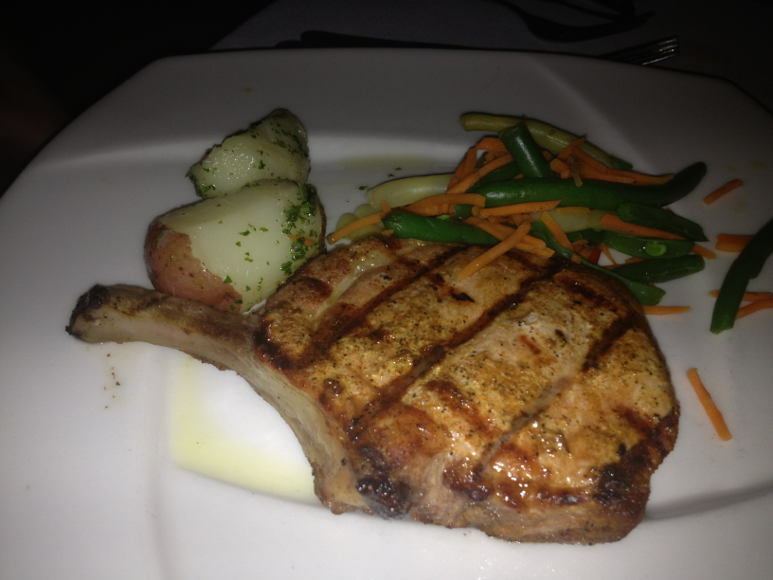 The pork chop was tasty. The seafood was adequate at best. The Mahi Mahi got one thumb up and one down. 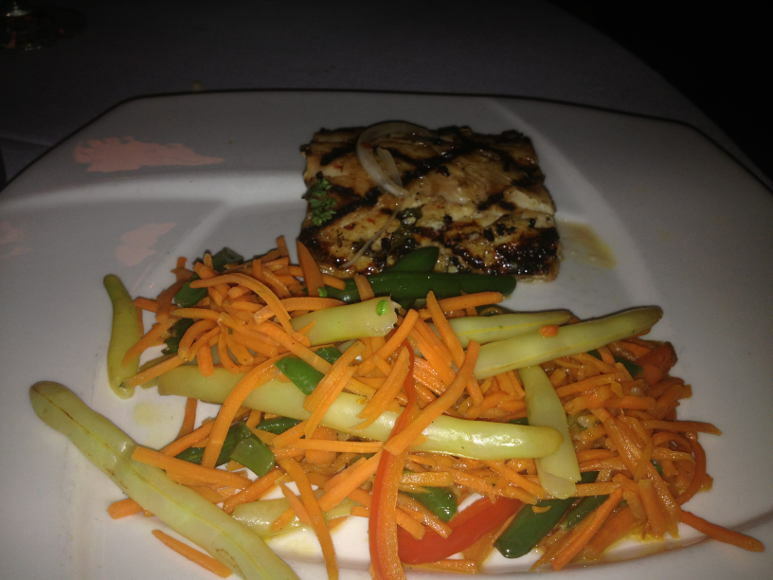 The Halibut was not good, chewy not flaky, over cooked and poorly prepared. Each meal came with the same side of mixed vegetables. 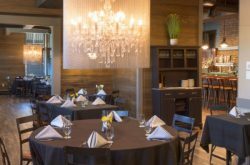 Acqua is a great option for a banquet facility, or for sharing a few drinks as the boats, the river and time meanders along.